No, we did not send you that spam! REGARDING SPAM: If you are here because you have some spam that says it came from "castrovalva.com", I promise you it did NOT come from castrovalva.com. I control 100% of the email from castrovalva.com, and I hate spam more than a esophagogastroduodenoscopy...your spam did NOT come from this site! If you carefully examine the headers on the email, you'll notice that only the from address will say "castrovalva.com"...sadly, the from address on email is meaningless; you can set it to say whatever you want! Spammers use randomly-chosen real domain names (like castrovalva.com) on their from addresses to make you think the mail is legitimate so you will open it...if the from address said "scumballspammer.com", not much of their mail would go through! So, if you have some nasty spam letter, I feel for you; I currently filter over 57,000 a day. But NONE come from this site. Not a single one. Ever. 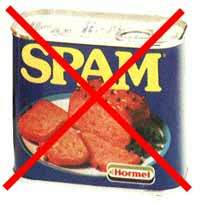 The day spam starts coming from my servers is the day I'll turn off the router. The system administrators at your ISP or workplace should be able to examine the headers and tell you where the mail actually came from, so you'll know where to vent your anger. And if your "computer guy" tells you that the mail came from castrovalva.com, tell him he needs to put down his MCSE degree and learn how networks actually function. I'd suggest starting with TCP/IP Illustrated by Stevens.